Stephen K. Peeples at renowned photographer Neal Preston’s studio in Burbank, February 2018. Known for his dedication to producing high-quality work, Santa Clarita journalist and Grammy-nominated producer Stephen K. Peeples is a forward-thinking media veteran whose reporting, writing, editing and production skills and experience extend from print to records, and from radio and TV to the web. He is an award-winning radio producer/writer, award-winning website editor, and well-known news and entertainment journalist, photographer and TV host in the Santa Clarita Valley, in the northwest corner of Los Angeles County, Calif., half an hour from media centers in Hollywood, Burbank, Beverly Hills, West Los Angeles and Santa Monica. Now semi-retired (emphasis on the semi-), Peeples is a part-time news editor/writer for SCVNews.com in Santa Clarita, Calif., and editor/chief writer for the new SCV-based quarterly magazine Wealth | Wisdom | Wellness, published by CT3 Media Inc.
Elder died on Oct. 6, 2018, three weeks after the trio completed the book proposal. With Elder’s daughters joining the Artlaw Gang all-in to complete the project on their father’s behalf, publication is projected in late 2019 or early 2020. Peeples also serves as Vice President/New Media for Rare Cool Stuff Unltd., a pop archival company founded by award-winning graphic artist Geoff Gans and specializing in rare books, videos, film and audio files. Peeples was project manager and content editorial director of the company’s revamped website in 2014. He still accepts the occasional website project; most recently, working with SCV developer Josh Bernstein, the team built a new WordPress site for Dr. Thomas Polucki in late 2017, and rebuilt this website in early 2018. Peeples provides search engine optimized web editorial content and social media services for select clients, including 25Score. From July 2018 to January 2019, he wrote weekly will-appear articles for the Santa Clarita Valley Sunday Signal spotlighting artists soon to perform at the Canyon Santa Clarita nightclub in Valencia. In his copious spare time, he continues to post articles and video interviews on his website and YouTube channel, like this one with Al Schmitt, who has won more Grammys than any other producer-engineer in the recording industry. On Santa Clarita television, Peeples co-produced, booked, wrote and hosted SCVTV’s WAVE-nominated “House Blend” local music and interview program from 2010-2015, which continues to air on the station in reruns. He also delivered the “SCV Entertainment Minute”/”SCV Rock Beat” report Wednesdays during SCVTV’s NewsBreak evening news program from 2010-2016. Previously, Peeples was the CNPA-award-winning online editor and social media manager at the Santa Clarita Valley Signal (2007-2011) as well as a features writer and columnist covering local music and entertainment for the paper (2004-2011). Peeples earned a Grammy nomination as co-producer of the “Monterey International Pop Festival” boxed set (MIPF/Rhino, 1992) and is a Radio Festival of New York medalist as original writer/producer of “The Lost Lennon Tapes” series (Westwood One, 1988-1990). Raised by hard-news journalists in Southern Florida and Southern California, and a rock-jazz drummer since age 12, Peeples attended Santa Monica College and Ventura College in 1971-73. He was a longtime record industry media relations executive (Capitol Records, Elektra/Asylum Records and Rhino Entertainment, 1977-1998), with eight years as a writer/producer of national radio programming (Westwood One Radio Network, 1983-1990) sandwiched in between. Email Peeples at skp (at) stephenkpeeples.com or visit http://www.stephenkpeeples.com. Also: Google+, Twitter, Facebook, LinkedIn. Peeples was Online Editor of The Signal, the Santa Clarita Valley’s only daily newspaper, from October 2008 to the end of May 2011. He was responsible for all content posted on the paper’s website, The-Signal.com, as well as producing online newsletters and managing Twitter and Facebook accounts. He also served as a news/features/entertainment writer and contributing photographer for both the print and online editions of the paper, and an editor for the paper’s special sections. He joined The Signal in October 2007 as Assistant to the Editor and Web Content Editor for the paper’s website, which had been editor-less for a few months and in need of attention. On Monday, Oct. 22, Peeples’ first day on the job, three major wildfires ringed the SCV — one of them racing through hillsides less than a mile away from his home. On that day and the next several, his frequent fire updates on The Signal’s website, along with those written by his Newsroom staff writer colleagues, boosted visitor traffic substantially and helped re-establish The-Signal.com as the SCV’s top online source for local news. As assistant to Editor Lila Littlejohn, Peeples’ initial responsibilities included editing the paper’s Opinion page of local and wire commentary, political cartoons and letters to the editor. In winter 2007-2008, Peeples was also a member of the team that developed a redesigned Signal website, launched Feb. 15, 2008. At that time, he was promoted to Online Editor and relieved of Opinion duties so he could focus on helping to manage the new site and further expand The Signal’s online brand. He was an early advocate of web-first reverse publishing at a time when management tenaciously clung to the print-first model. As a senior editor with extensive experience and working knowledge of AP style, Peeples was asked to pinch-hit as Interim Chief Copy Editor for The Signal in November-December 2008, in addition to his duties as Online Editor. He immediately instituted new editing and proofing policies, and under his direction, grammatical and typographical errors in the paper were quickly reduced from frequent to rare or non-existent. Having set a new standard and trained new copy desk staff, he returned to his online duties full-time in January 2009. Also in January, a new company formed by a longtime friend and his inventor son — makers of the patented Drummersleash spinning drumstick grip — asked Peeples, a longtime drummer, to help out with marketing the drumstick accessory. As Signal Online Editor, Peeples was honored in spring 2010 when the California Newspaper Publishers Association named The-Signal.com the “Best Website” for California newspapers its size. In spring 2011, the site placed second in the state. Peeples was invited to co-produce, write and host a new music and interview program on SCVTV, the community TV channel for the Santa Clarita Valley, in autumn 2010. “House Blend with Stephen K. Peeples” premiered in September and was seen six days a week on SCVTV Channel 20 on Time Warner cable and AT&T U-Verse 99 in the SCV, and scvtv.com anywhere outside the valley. New half-hour editions premiered Saturday nights with encore broadcasts scheduled throughout the following week. The shows are available for on-demand viewing anytime at scvhouseblend.com. 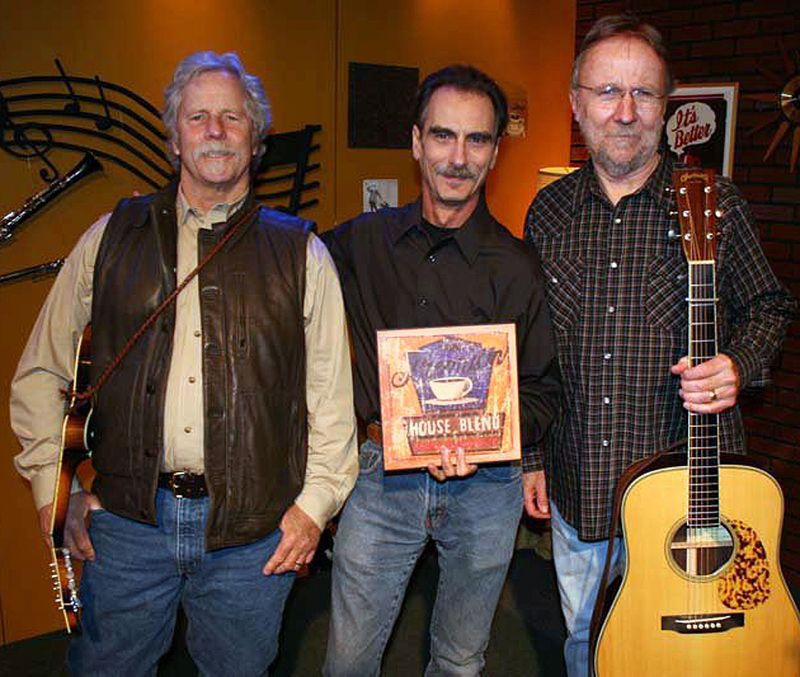 Chris Hillman, Stephen K. Peeples and Herb Pedersen on the “House Blend” set, May 2011. Photo by John Nussbaum. Among the artists to guest on “House Blend”: Chris Hillman & Herb Pedersen, Henry Diltz, Katy Moffatt, Jesse Barish, Sara Niemietz and W.G. “Snuffy” Walden, Lori Andrews & Bart Samolis, Loafers’ Glory, Smile Empty Soul, Circe Link & Christian Nesmith, Stewart “Dirk” Fischer, Nikhil Korula, The Kai Clark Band, PapaFish, The Sea Over Eli, Sherry Pruitt & The Delgado Bros., Wumbloozo, Shine So Hard, Sean Wiggins & Paul Houston, Ron Tanski, Nacosta, The McGrath Project, Ann-Marita, Lori Andrews & Bart Samolis, The Feaver, Johnny Strat, Avery Merritt, Drew Tretick, Joel Simpson, Kounterfeit Change, Phil “Mr. Squeeze” Parlapiano, Moonraker, Skeeter Mann & The Lost Canyon Rangers, Jeremy Quintero, TJ Sullivan with Greger Walnum, Shay Astar, The Shoemaker Bros., Serena, Gussie Miller, White Smoke, John Bergstrom, Tom Renaud, Karyn Swanson, Ariana Sloan, Limitless, The Cross Town Cowboys, The Deltaz, Open the Coda, Nathaniel Dobies, Flavia & The RedTempt and more. In May 2011, The Signal’s out-of-state ownership “reorganized,” firing the publisher. The struggling paper’s new management downsized, eliminating the Online Editor position as a “cost-cutting measure” and Peeples’ employment at the same time. The next day, Peeples taped a “House Blend” session with Chris Hillman and Herb Pedersen, and the subsequent show earned a WAVE nomination, the West Coast public television’s equivalent to an Emmy. The following Monday, Peeples met with longtime friend Carl Goldman of KHTS-AM 1220 radio, The Signal’s direct competitor for online news. Goldman immediately hired him as a part-time news reporter and special features writer. At the same time, Peeples joined Geoff Gans, Gary Gonzales and Scott Bowman in a new archival reissues company, Rare Cool Stuff Unltd. Peeples’ first project as an RCS partner was photographer Ken Regan’s “Bob Dylan & The Rolling Thunder Revue” folio, produced for the Morrison Hotel Gallery’s Regan exhibit celebrating Bob Dylan’s 70th birthday in May 2011. 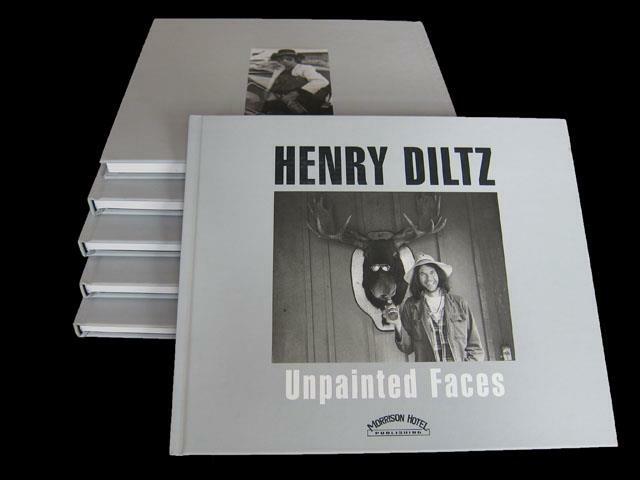 Next was “Unpainted Faces,” a collection of famed rock photographer and Gallery co-owner Henry Diltz’s black & white photos from the ’60s through the ’90s, for which Peeples wrote the introduction and the extended author biography. Designed by five-time Grammy-nominee and RCS co-founder Geoff Gans, “Unpainted Faces” was published by Morrison Hotel Gallery in October 2011 to coincide with the Gallery’s 10th anniversary. In 2014, elevated to Vice President New Media and Editorial, Peeples oversaw completion and launch of Rare Cool Stuff’s updated website. Prior to The Signal, from April 2006 to Oct. 2007, Peeples was Editorial Director and an Account Manager with Santa Clarita Web Services (eSCV, Inc.), a local website hosting, development and marketing company based in Valencia, Calif. Along with working with clients on building and maintaining their websites, Peeples served as Managing Editor of the company’s MySantaClarita.com community website and helped build it into one of the SCV’s Top 10 most-visited sites. 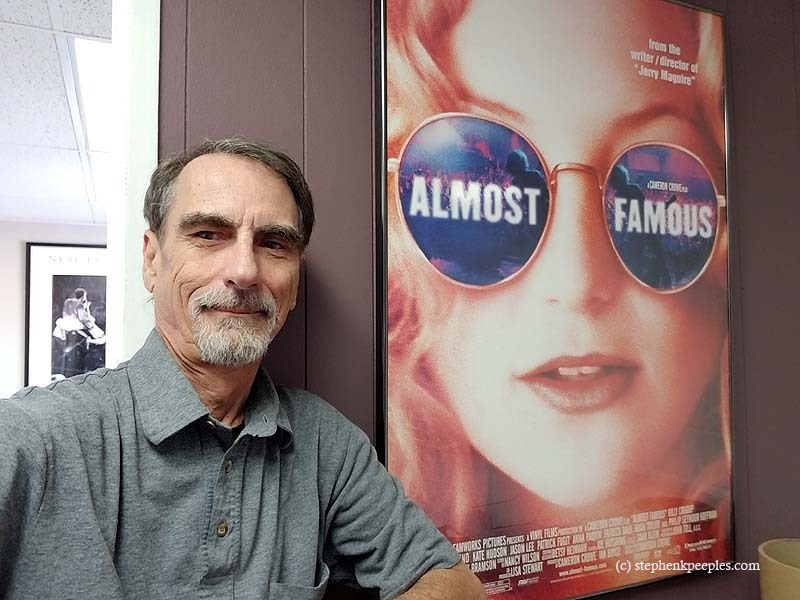 He managed My Santa Clarita’s content, wrote or edited all its original stories, covered local news and events, and served as the staff photographer. Site traffic statistics showed a 291 percent increase in the year between July 2006-July 2007. Previously, from Aug. 2004-April 2006, Peeples was a staff writer for The Signal, in the Editorial/Features Department. His desk was in close proximity to those of former Signal editors and local legends John Boston and Leon Worden, and Peeples learned as much from them as he could. Peeples researched and wrote more than 200 in-depth features on a wide variety of SCV people, places and events. His editor, Michele Buttelman, an L.A. Times refugee who also opted to kick the commute and work closer to home, allowed much latitude in his story assignments. He wrote the occasional feature for paper’s News Dept. and the Opinion section. Check the old Signal website, archived here. By the time he arrived at The Signal in 2004, Peeples had worked in the music and radio industries in Hollywood and L.A.’s West Side for two decades. In 1988, he won an International Festival of New York Award as a national radio writer-producer for a special edition of “The Lost Lennon Tapes” series (he was the acclaimed series’ original writer-producer, the first 128 hour-long programs, heard worldwide via Westwood One from 1988-1990). Capitol Records’ catalog crew engaged Peeples as the writer of the 64-page book that accompanied “Les Paul: The Legend & The Legacy,” a four-CD boxed set released in October 1991. Peeples journeyed to the legendary inventor and guitar innovator’s home studio in Mahwah, N.J., the previous May for a marathon midnight to 7 a.m. interview in the same studio where Les and Mary Ford recorded in the 1950s and ’60s. 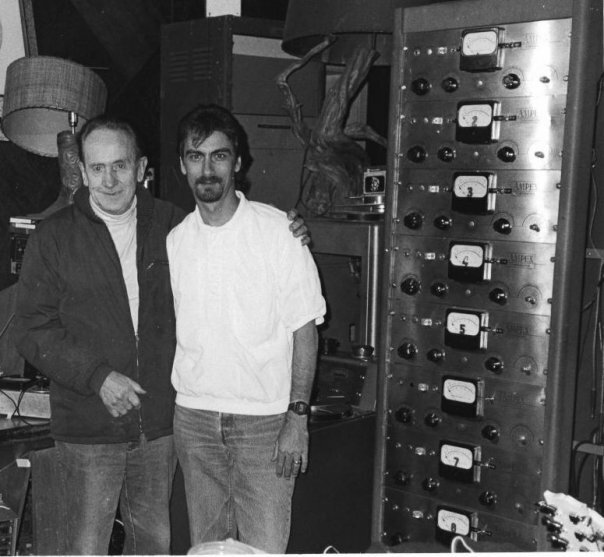 Les Paul and Stephen K. Peeples, Mahwah, New Jersey, May 1991. Peeples and Paul remained friends until Les’s death in August 2009. They’d often get together at the annual NAMM show in Anaheim, and they taped an interview after a long day at the convention in 1992. Peeples earned a Grammy nomination in early 1994 as co-compiler/co-producer and liner notes writer for the Monterey International Pop Festival four-CD boxed set (MIPF/Rhino, 1992, now out of print), and traveled to New York City’s Radio City Music Hall for the ceremony (a Billie Holiday boxed set won the award). Not surprisingly, Peeples is a third-generation media figure. His grandmothers Mary-Florine Peeples and Z. Ruth Sullivan were avid photojournalists whose work was published in daily newspapers in Chicago (The Chicago Tribune) and Milwaukee (The Milwaukee Journal), respectively. Years later, when Stephen was in elementary school, his grandmothers taught him the basics of photography and art direction during separate visits with his family in North Miami, Fla.
His parents, William A. Peeples and Joan S. Peeples, had met in the late 1940s as students at the University of Illinois in Champaign. He was editor of The Daily Illini, she was a writer/reporter. At work, they were dedicated journalists; it was all business. Romance blossomed nonetheless; they married in 1948, had Stephen in 1951, and daughter Ruth in 1955. 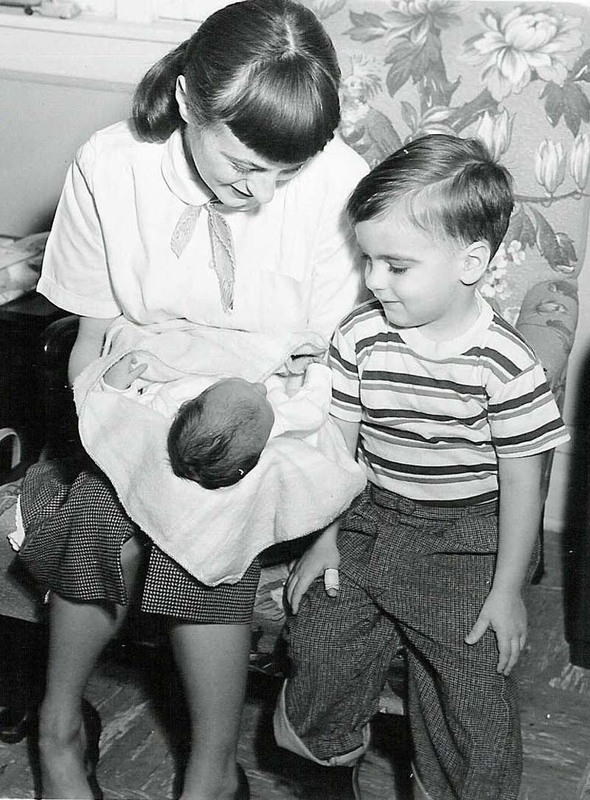 Joan Ruth Sullivan Peeples, holding infant daughter Ruth L. Peeples, as son Stephen K. Peeples, age 2 1/2, looks on. Neenah, Wisconsin, late January-early February 1955. Photo: Zelda Ruth Sullivan. Bill and Joan provided much in-house training in English, writing and journalism as their progeny grew up (Ruth went on to earn a Broadcast Journalism degree from California State University, Northridge). The youngsters had a natural love for writing, and along with providing encouragement, Bill taught them the basics of editing while Joan imparted the basics of proofreading. Both kids absorbed lots more by osmosis. 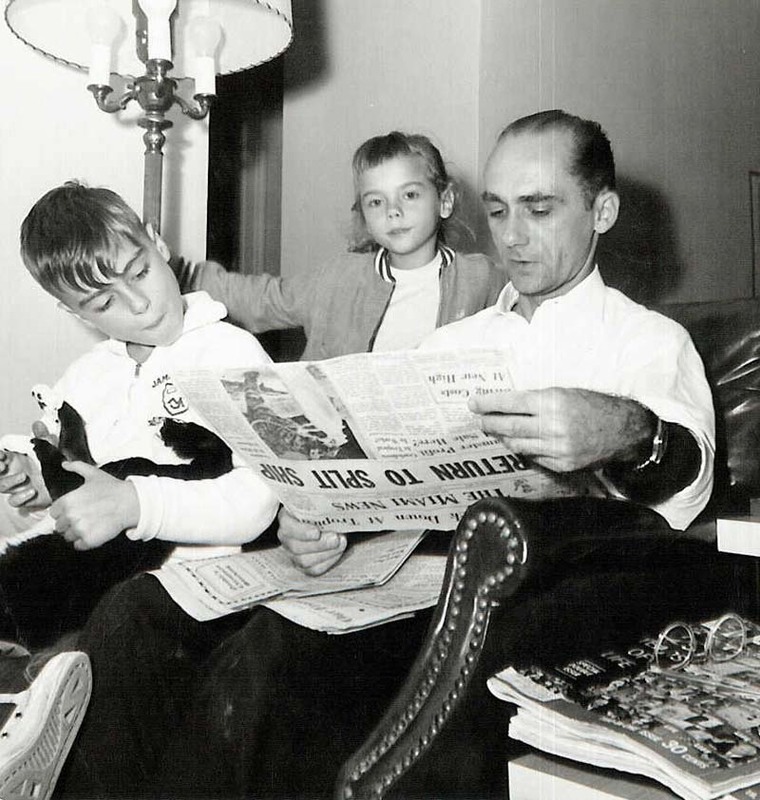 Stephen K. Peeples (holding cat Soxie aka Tubby), Ruth Peeples, William A. Peeples, reading The Miami News, North Miami, Fla., 1959. Photo: Joan S. Peeples. In the early 1960s, after leaving the chilly Midwest for the subtropical climes of South Florida, Bill and Joan worked for The Miami News, one of the city’s two major daily newspapers. When Stephen was in junior high school, they took him along when they had to work on weekends. Bill gave him copy to edit and Joan would have him proofread it later, after the copy was typeset. It would prove to be priceless on-the-job training. Other News employees were delighted to show Stephen what they did — how hot-lead Linotype machines worked, how the huge, deafening presses ran downstairs, how the ships unloaded the huge rolls of newsprint at the paper’s dock behind the plant on the Miami River. 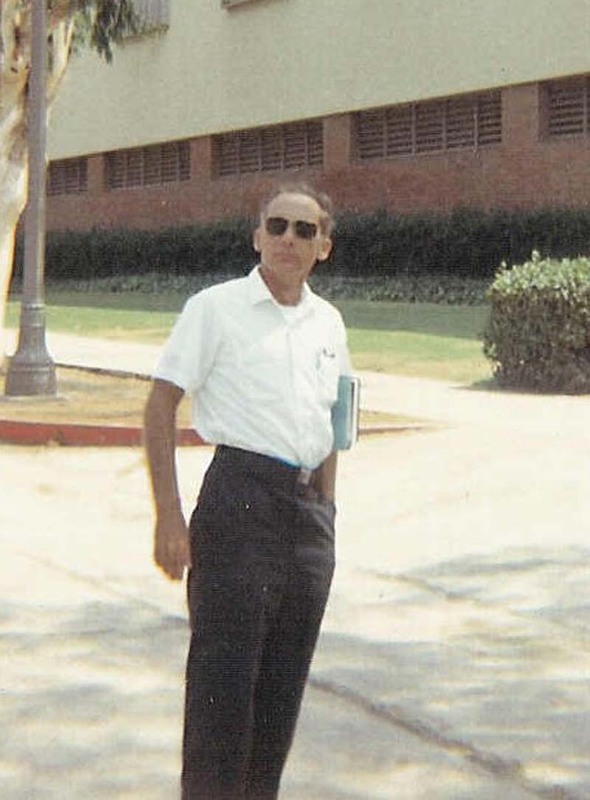 Bill Peeples, UCLA, August 1968. Photo: Stephen K. Peeples. In June 1968, Bill moved the family to Los Angeles, where he attended graduate school at UCLA with an eye to teaching. He earned Master’s degrees in history and physical anthropology. In the early 1970s, while he was working on his doctorate, Joan was diagnosed with terminal breast cancer, and he left school to care for her. 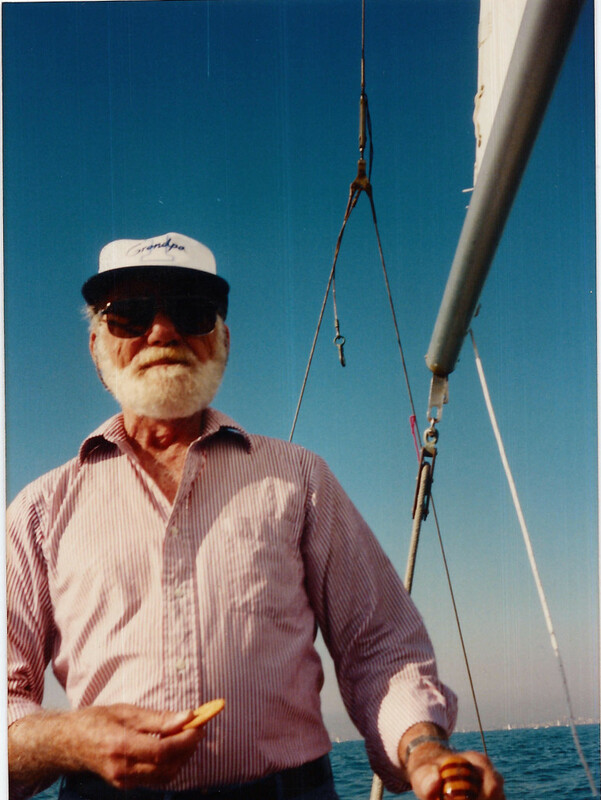 After her death at age 42, Bill suspended his studies and returned to newspapering, as assistant editor and features writer for The Los Angeles Times’ Travel section under esteemed longtime editor Jerry Hulse. (Where Bill had once introduced his son to hot-lead Linotype production at The Miami News, in the mid-1970s he also introduced his offspring to one of the earliest computerized newsroom computer software systems, then being adopted by The Times in downtown Los Angeles. (On that lunchtime visit to The Times, Bill also introduced Stephen to Robert Hilburn, the already-legendary pop music critic. Hilburn happened to need an album reviewed and assigned it to Stephen; once published, Stephen’s Pop Album Brief about country storyteller Tom T. Hall’s “Faster Horses” album led to a few more Times assignments (albums by Jessi Colter, Marshall Tucker Band) and helped launch Stephen’s career as a professional music journalist. Stephen’s earliest published piece was an original short news feature titled “Why We Need Arms” (as in the body parts) that appeared in The Miami News in 1960 when he was 8. His earliest professional writing on music and entertainment was published in Cash Box magazine (1975), The Los Angeles Times plus Circus, Rock Around the World, Rocky Mountain Musical Express, Pickin’ Up the Tempo, and Replay magazines (all 1976-1977) and L.A. Weekly (1977). 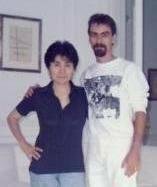 Yoko Ono and Stephen K. Peeples, The Dakota, June 1989. Photo: Sam Havadtoy. Segueing into the record and radio industries, Peeples was Editorial Director for Capitol Records (1977-1980) then Elektra/Asylum Records (1980-1983) in Hollywood; programming Writer/Producer and Advertising/Editorial Director for the Westwood One Radio Network in Culver City (1983-1990, including “The Lost Lennon Tapes” series); and National Public Relations Director then Co-Director of the Media Relations Department for Rhino Entertainment in West Los Angeles (1992-1997). During his last two years at Rhino (1997-1998), Peeples drew upon his experience and early interest in the Internet as the label’s first Senior Director of Online Media. He was project manager for the first Rhino.com website, then its first content producer/editor. In early 1999, he moved up to Rhino parent Warner Music Group to serve as editorial content producer/manager for ear1.com and several promotional music sites developed by WMG’s Burbank-based Warner New Media division. In mid-2000, following WMG parent Time-Warner’s merger with AOL, which moved WMG’s content management to Virginia, Peeples was a Format Producer with FTM Media Inc. (Feed the Monster), also in Burbank. He co-captained a team of nearly a dozen Web designers, graphics experts, code experts and QA staff who were building news and talk sites for major-market radio stations. Unfortunately, FTM suffered a less than dignified demise that autumn as the dot-com boom went bust. The North Miami 5-0 Clan outside Las Vegas, 2001, celebrating their 50th birthdays that year. Friends since elementary school, to this day. From left: Jeff Thaw, Joe McGee, Steve Peeples, Bill Walls and Steve Heidt. Peeples took a break from the media fray for the next few years, using his computer/Internet and organizational skills as IT Director and Project Coordinator for two general building contractors, the first in West Los Angeles and the second closer to home in Santa Clarita. 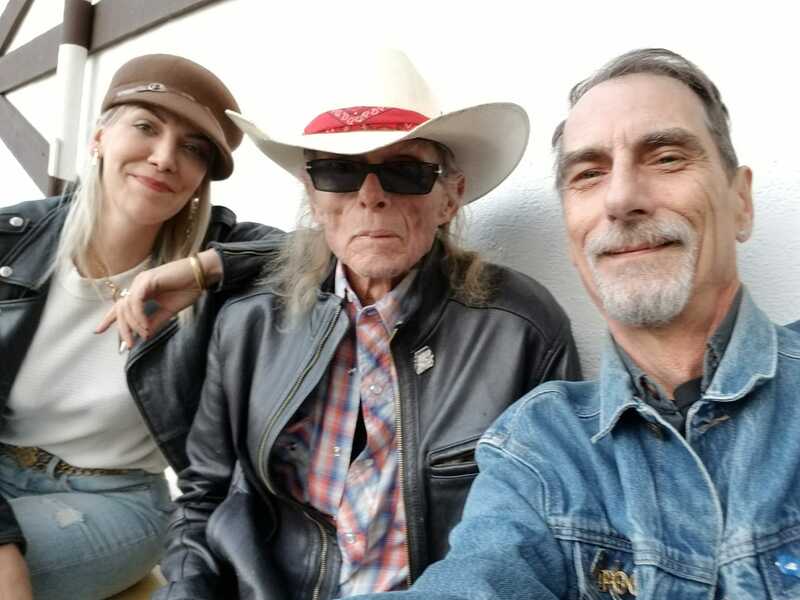 In spring-summer 2004, Peeples returned to radio, this time in front of the microphone, holding forth on Santa Clarita’s hometown station KHTS AM 1220 as writer-producer-host of the weekly “Beatles, Etc.” British Invasion program. His son Scot, then 18, served as associate producer and, eventually, engineer. Peeples also wrote “Today in Beatles History” daily short features through the fall. After joining The Signal in August 2004 for his first tour, Peeples guested on several “Reporter’s Notebook” segments with KHTS air personality Mike Dowler, through 2005. 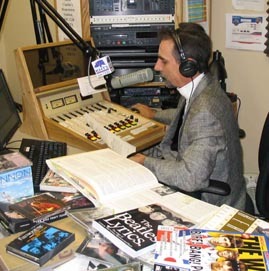 Stephen K. Peeples hosting a segment of “Beatles Etc.” on KHTS-AM 1220/Santa Clarita in summer 2004. Photo: Scot L. Peeples. From 2005-2007, Peeples also contributed feature-length CD and music DVD reviews to the AudioVideo Revolution website (Paul McCartney’s “Memory Almost Full,” The Beatles’ “Love,” Jerry Lee Lewis’ “Last Man Standing,” Bob Dylan’s “The Best of Bob Dylan,” Jeff Healey & The Jazz Wizards’ “It’s Tight Like That,” The Beatles’ “Capitol Albums Vol. 2″ four-CD set, John Lennon’s “Working Class Hero: The Definitive Lennon” two-CD anthology, Les Paul & Friends: “American Made World Played,” Herbie Hancock’s “Possibilities,” Steel Pulse’s “True Democracy” and “Earth Crisis,” daKAH Hip Hop Orchestra’s “San Francisco Debut,” and Cream’s “Live at Royal Albert Hall“). 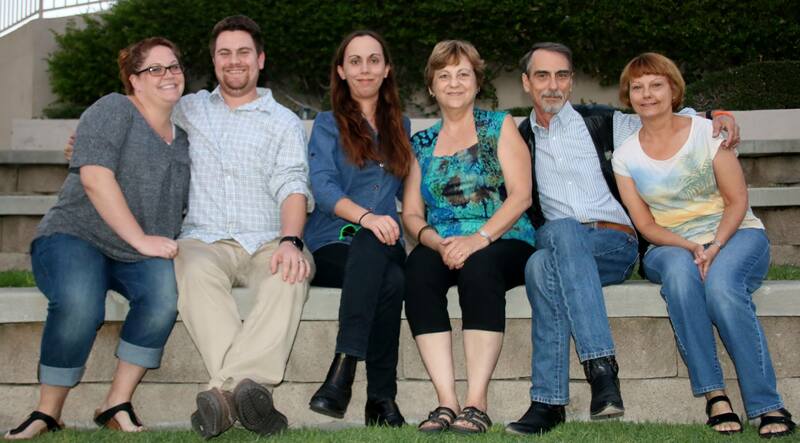 Peeples has been active in the Santa Clarita Valley community. From 2000-2008, he worked with the Santa Clarita Community Development Corp., the nonprofit organization which operates the SCV’s Emergency Winter Shelter for the homeless as media director and spokesperson. He also built the first SCCDC website in 2004 and was a member of the Board of Directors from 2001-2005. He is a Director Emeritus. The organization is now known as Bridge to Home. In autumn 2005, Peeples was a founding member of the SCV Disaster Coalition. He was also an occasional volunteer with the Santa Clarita Symphony and the Theatre Project/SCV; the latter two nonprofit organizations did not survive the Great Recession. 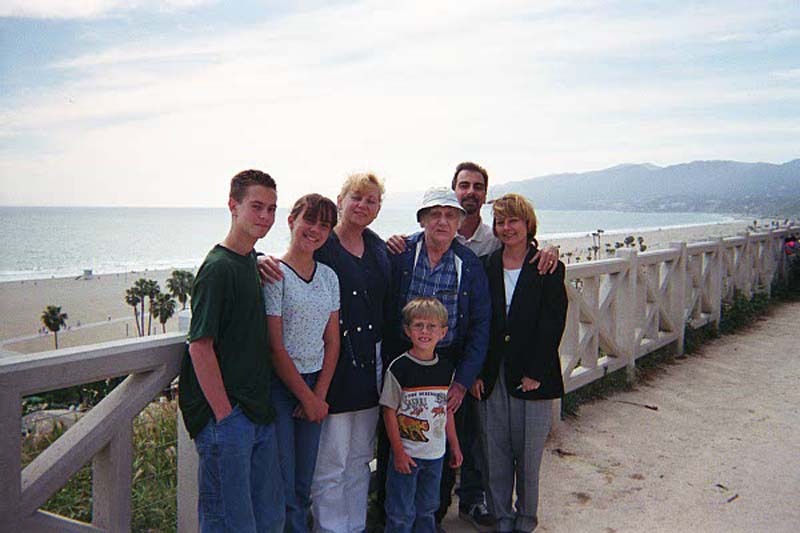 The Peeples Family: Scot, Veronica, Nadine, William, Stephen and Ruth, and Ruth’s son Michael Hooper in the foreground, Santa Monica Palisades, 2000. Peeples and his family have been residents of Canyon Country, one of the four communities that comprise the city of Santa Clarita, since spring 1988, when they moved there from Studio City, Calif. He met his wife Nadine (Martini) in 1977 when they both worked at Capitol Records, and they married in September 1981. Famed photographers and family friends Henry Diltz and Peter B. Sherman shot the wedding. 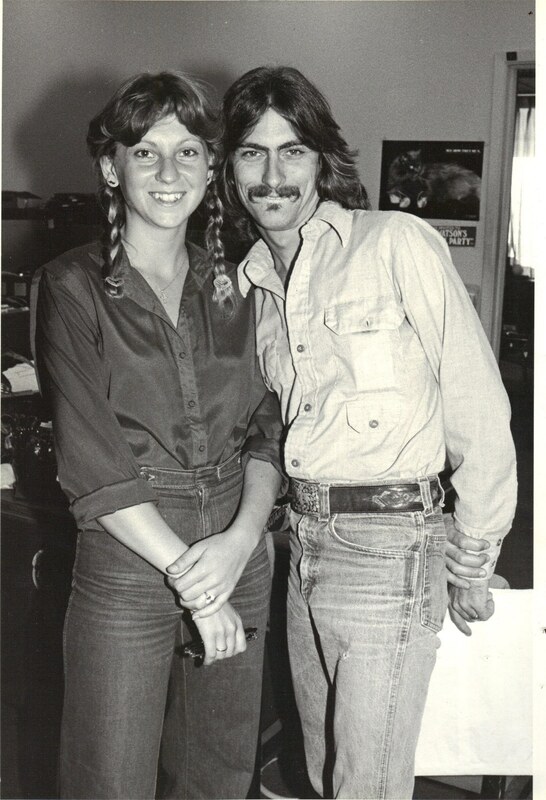 Nadine Martini and Stephen K. Peeples at Capitol Records, spring 1980. Photo: Henry Diltz. 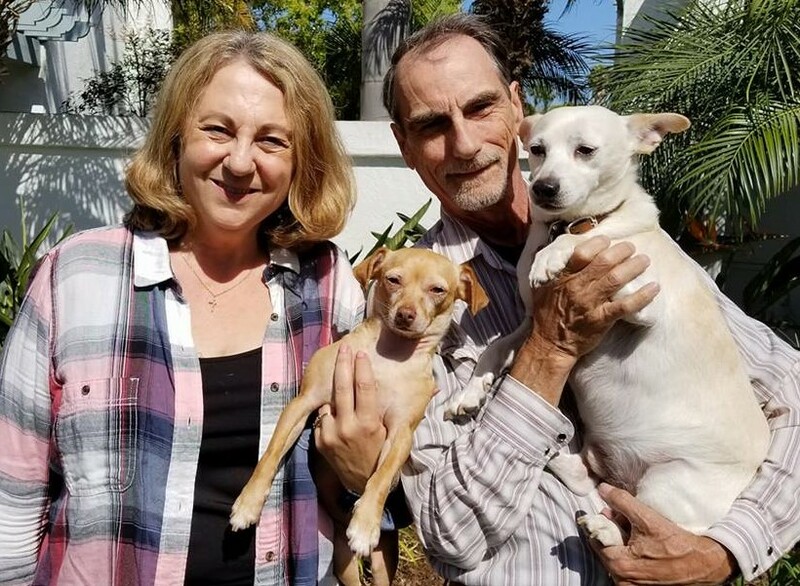 The couple became proud parents of Scot Lawrence Peeples in September 1985 and Veronica Joan Peeples in August 1987, and had many wonderful family get-togethers. 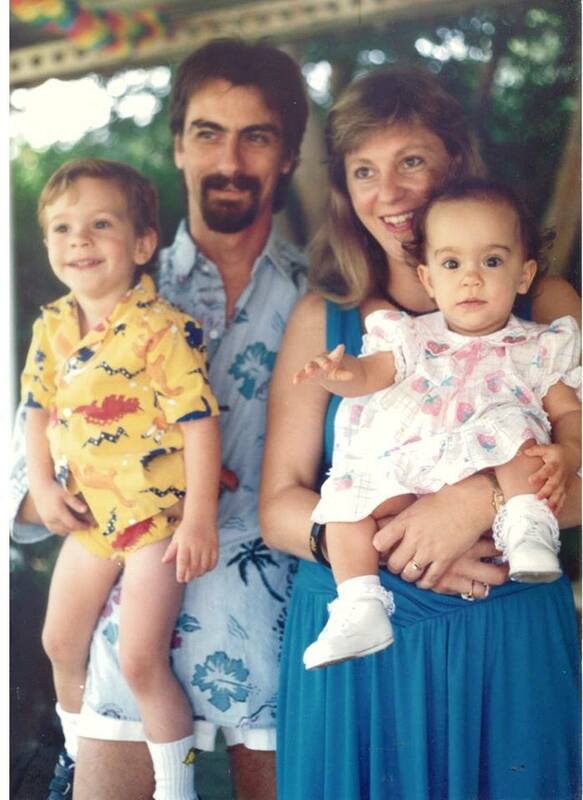 Scot, Stephen, Nadine and Veronica Peeples, Pasadena, California, early 1988. Today Nadine is a Collections Specialist at Valencia, Calif.-based Trimed Inc., which manufactures and distributes precision surgical steel parts and tools for repairs of broken wrists and ankles to surgeons and hospitals across the U.S. and around the world. The couple’s two now-adult offspring are bright and media-savvy, but are making their parents proud by charting their own courses. Nonetheless, they represent the fourth media generation of the Peeples-Sullivan bloodline. Son Scot is a 2016 Cal State Northridge graduate majoring in media management and is a music supervisor for film, TV and new media. He and Jessica Posner married in August 2008. Daughter Veronica graduated a paralegal course at Charter College in 2012 and relocated to Las Vegas in 2017 to seek her fortune. The Peeples family: Jessica Posner Peeples; Scot L. Peeples; Veronica J. Peeples; Nadine A. Peeples; Stephen K. Peeples; and Ruth L. Peeples, Valencia, California, 2017. Peeples enjoys spending his precious free time with his family (including cat Batman and dogs Lennon and Freeda) and friends; attending and photographing community events around the Santa Clarita Valley; escaping to Ventura Beach 45 miles due west; attending concerts and performances; road-tripping (all over the West); writing; reading non-fiction and nearly anything to do with The Beatles; listening to nearly all genres of music; reading savoring fine food and drinking fine wine; playing drums; watching classic films, documentaries and the news on the tube; and anything to do with surfing, which he did on both the East and West Coasts from ages 13-29 (1962-1980). Nadine, Freeda, Stephen and Lennon Peeples, Bridgeport, Santa Clarita, California, May 13, 2018. “I’ve fortunately been able to stay in the media game the vast majority of my career, even after the record industry melted down, the Internet bubble burst, and the economy went south,” Peeples said. “That was almost 20 years ago now. I know of former high-powered L.A. media bosses of mine who are now printers in the Midwest and selling cars in the desert. Go figure. “People ask me to name my favorite piece of my writing. 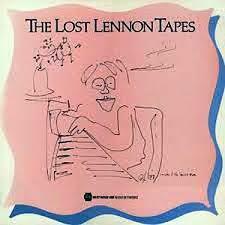 I’d have to say the first 128 hours of ‘The Lost Lennon Tapes’ as a body of work. Those shows stand up 30 years later. Beyond that, it would be like choosing favorite children.